The Script are an alternative rock band from Ireland. They have had four number one albums in the UK and hold an unofficial world record for the largest round of drinks ever bought. 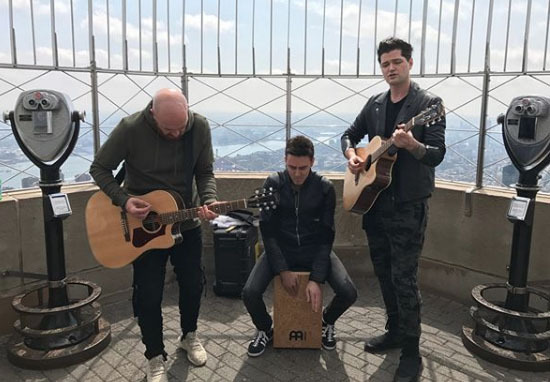 Who are The Script, how old is each member, when are their birthdays, how tall are they, where are they from and are they Irish? The Script is an Irish rock band formed in 2001 in Dublin. 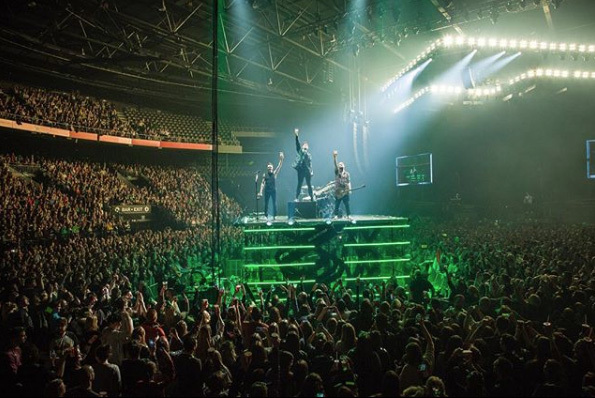 The band members are Danny O’Donoghue, Mark Sheehan and Glen Power. Lead singer and keyboard player Danny O’Donoghue was born in Dublin on October 3, 1979. He is 39 years old and 1.91 metres tall. The youngest of six children, Danny dropped out of school to pursue a music career, first in a band called Mytown with Mark Sheehan and then in LA writing and producing for stars like Britney Spears. Lead guitarist Mark Sheehan has been best friends with Danny O’Donoghue since they were children and they have worked together ever since their time in the band Mytown. Mark was born on October 29, 1976 and is 42 years old and is 1.91 metres tall. Danny and Mark recruited drummer Glen Power to help them complete the band when they returned from Los Angeles. He was born on July 5, 1978 and is 40 years old. Why are The Script famous and what do they do? The Script are one of the most famous rock bands Ireland has produced. They are recently toured to promote their album Freedom Child. What is The Script’s net worth? Danny O’Donoghue is reported to be worth $16 million according to celebritynetworth.com. In addition to his work with the band he was a coach on UK television show The Voice for the first two series of the programme. How much do The Script earn? 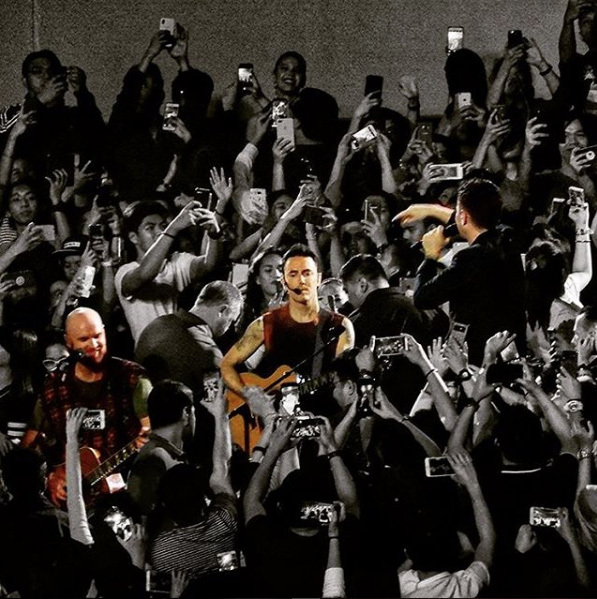 In June 2015, The Script played to an audience of 80,000 fans and generated $4.9million in box office receipts which was shared amongst the band, the venue and the promoter. Why did they write Hall of Fame? The single Hall of Fame is about believing in your dreams and never giving up. Danny played the demo to will.i.am from The Black Eyed Peas when they were both coaches on The Voice. Will.i.am wanted to record the song with his band but Danny refused and instead they recorded it together. Who is the lead singer, where did they get their name? Danny O’Donoghue is the lead singer of The Script. They came up with the name while he and Mark were living in LA where everyone was always talking about film scripts. They say that at the time they would often ring each other and say ‘what’s the script’ instead of ‘what’s happening’. What genre of music is The Script, when did they form, how did they form? The Script are an alternative rock band from Dublin and they formed in 2001. The band was started by close friends Danny O’Donoghue and Mark Sheehan who had previously been in the band Mytown. They asked Glen Power to join their new band and The Script was created. Have they broken up, are they releasing a new album? The Script have not broken up. They released an album Freedom Child in September 2017 and will be touring throughout 2018 to promote this album. What number one songs and albums has The Script released, when were they released? 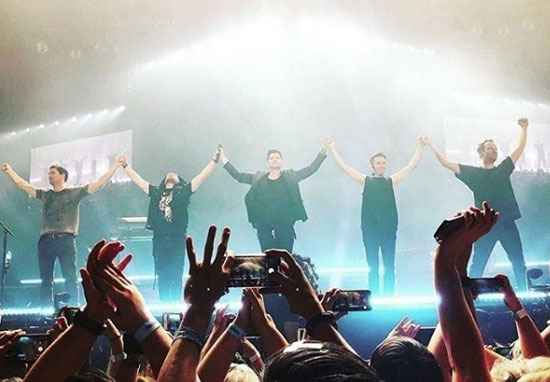 They have released five studio albums: The Script in 2008, Science & Faith in 2010, #3 in 2012, No Sound Without Silence in 2014, and Freedom Child in 2017. All these albums reached Number 1 in the Irish charts and all except #3 hit the Number 1 spot in the UK as well. Their 2012 single Hall of Fame which featured will.i.am is their only single to have reached Number 1 in the UK and Ireland, though Superheroes (released in 2014) reached Number 1 in Ireland. What awards have The Script won? The band has won three Meteor Ireland Music Awards, two World Music Awards and they have been nominated for two Brit Awards.